Billionaires Michael Bloomberg, Sheldon Adelson and David Koch were among the top 10 largest contributors to political campaigns in the 2014 midterm elections, according to an analysis of campaign finance data from Politico released Monday. The data doesn’t include numbers from super PACs, which don’t have to legally disclose the names of their donors. Koch, the influential vice president of Koch Industries, which owns a number of chemical and energy companies, backs multiple super PACs and the company’s political action committee with his brother, Charles Koch. While David Koch personally contributed $6.2 million toward the 2014 midterm elections, the Koch brothers’ super PAC, Americans for Prosperity, spent $125 million on the election, according to Politico. KochPAC, the Koch Industries PAC, spent $3.2 million, according to the Center for Responsive Politics (CRP). David Koch was the 10th biggest contributor on Politico’s list. While the Koch brothers spend their millions solely on Republican candidates and conservative causes, Bloomberg, who was the second-biggest spender, backs both political parties. The former New York City mayor spent $27.7 million through his super PAC, Independence USA PAC, on moderate Republican and Democratic candidates who backed gun control and education reform and were willing work with the other party. 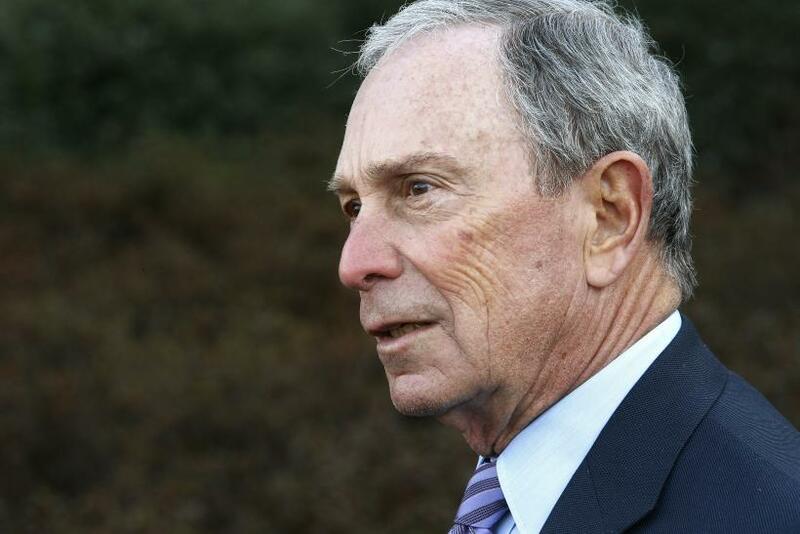 Bloomberg also used his millions to fund state ballot measures, including the successful effort to tax soda in Berkeley, California. Behind Bloomberg was Adelson, the billionaire chairman and CEO of Las Vegas Sands Corp., who donated $13.2 million in the 2014 midterm elections. While Politico didn’t say where the Las Vegas casino mogul spread his money, the CRP said Adelson gave $5 million to the Congressional Leadership Fund, a super PAC that raises money for House Republicans. Topping the list was a newcomer to using money to influence elections. Tom Steyer, a retired hedge fund founder from San Francisco, spent $74.3 million on the 2014 midterms. Steyer gave his millions exclusively to Democrats and liberal causes, including $66.9 million to create a super PAC that champions climate change issues. Steyer didn’t exactly get his money’s worth, as only three of his PAC-funded candidates won their elections, according to Politico. In a memo the day after the election, Steyer made a reference to the Koch brothers, who dispute climate change, in reasoning why his super PAC didn’t achieve great results.